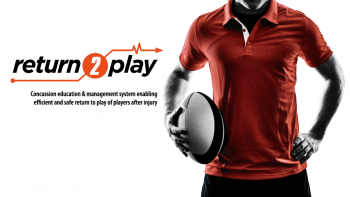 Whitgiftian Junior Rugby, based at the Croham Road “Clubhouse”, has announced a partnership with concussion management company, Return2Play, founded by OWs Dr Sam Barke (OW 2000-05) and Nick Somers (OW 1984-89). As a Partner Club of Return2Play, Whitgiftian Junior Rugby Club players who sustain a concussion will benefit from medical assessments provided free of charge, undertaken by specialist doctors, trained in concussion management. Free membership of Return2Play’s online, automated system will be provided to all parents of players.